Motorcycle styling has always been conservative rather than revolutionary. Even the most famous machines from history fit into a very obvious lineage of aesthetic development. 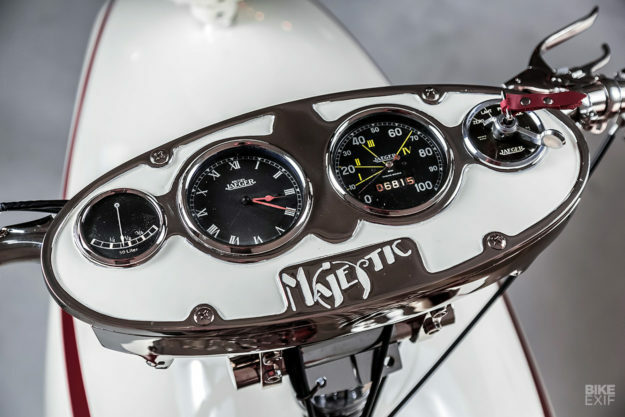 There’s nothing rebellious about early board trackers, BMWs, Brough Superiors, Vincents or Crockers. The engineering might have been exemplary, but the styling was evolutionary. 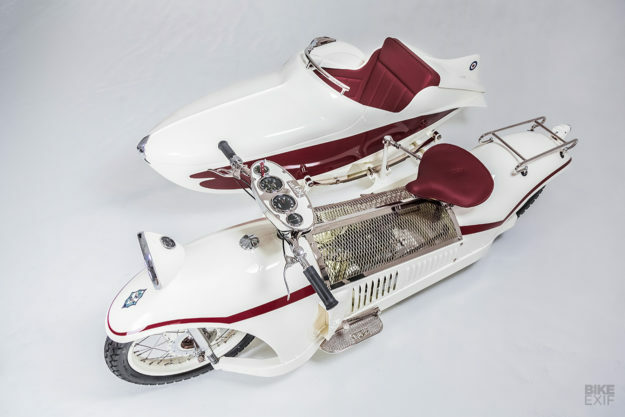 If you look hard though, there are a handful of early outliers to match later oddballs like BMW’s K1, the Honda DN-01, and the Philippe Starck-designed Aprilia Moto 6.5. And the best of the vintage oddities has got to be the Majestic of the early 1930s. 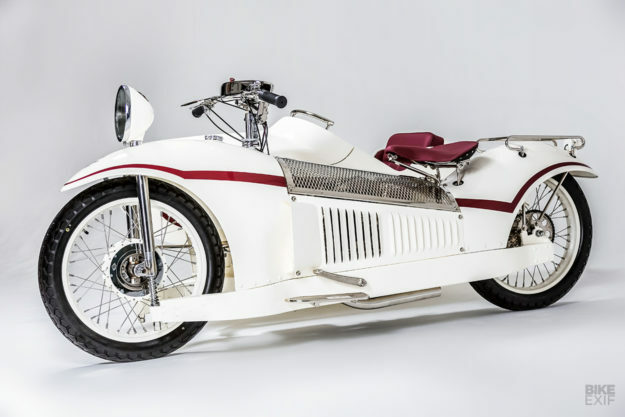 There are very few of these French machines still in circulation today, and this one here, recently restored by Serge Bueno of L.A.-based Heroes Motors, has got to be the pick of the crop. The Majestic was designed by Georges Roy, an engineer who disliked tubular frames because he felt they flexed too much. So he created a monocoque chassis using sheet steel, which also encased the drive train. Introduced at the 1929 Paris Motor Show, the Majestic caused a storm. 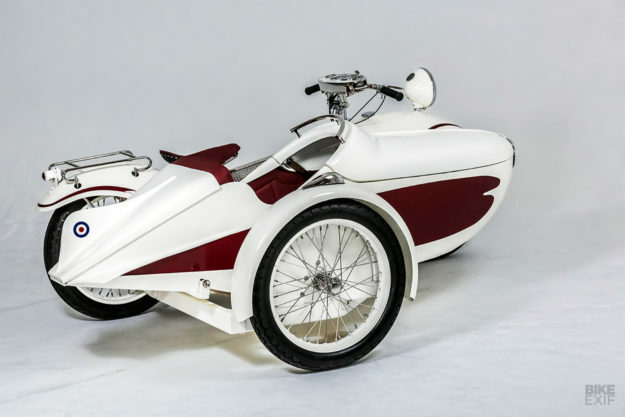 The Delachanal factory put it into production the next year, but sales were slow—and the story was over by 1933. As with today, it looks like pre-War motorcyclists were resistant to anything outside of contemporary norms. This 1930 Majestic, from near the start of the production run, has been in Serge Bueno’s family for 30 years. Five months ago he decided to restore it, and began a long process of eight-hour days in the Heroes workshop. It was difficult enough to rebuild the 500cc Chaise overhead-valve engine, but at least the principles of that motor are conventional. The real test was the rusted-out bodywork, with no OEM parts available and only photographs to act as guides. The monocoque now looks just as good as it must have done when it left the factory nearly 80 years ago. 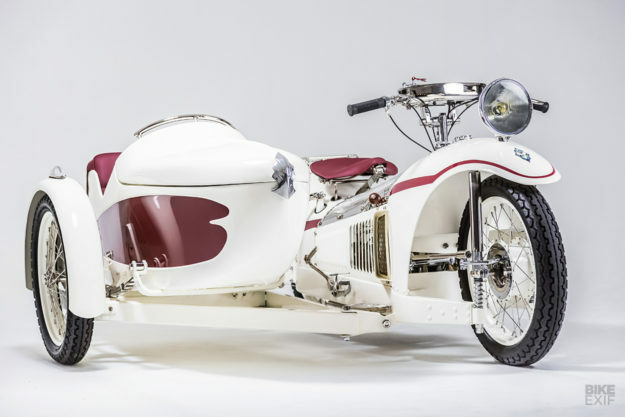 And adding to the charm is a rare sidecar from the famed French specialist Bernadet. 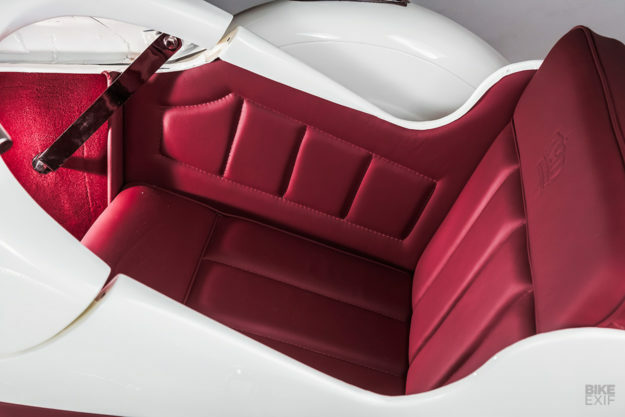 This appears to a variant of the premium ‘Tourisme Grand Sport’ model, with aerodynamic bodywork weighing a mere 23 kilos (50 pounds) and a comfortable Dunlopillo latex foam seat—a major innovation back in the day. Motorcycle historians estimate that only about ten Majestics still exist. 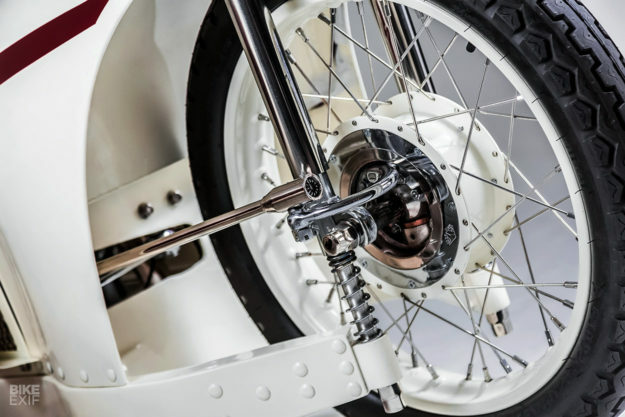 If you were lucky enough to see the ‘Art of the Motorcycle’ exhibition in 1998 at the Guggenheim Museum, you’ll have seen one of them on display. If you missed that, head over to the Heroes Motors showroom in L.A. to check out this one. It’ll probably be the only chance you’ll ever get.